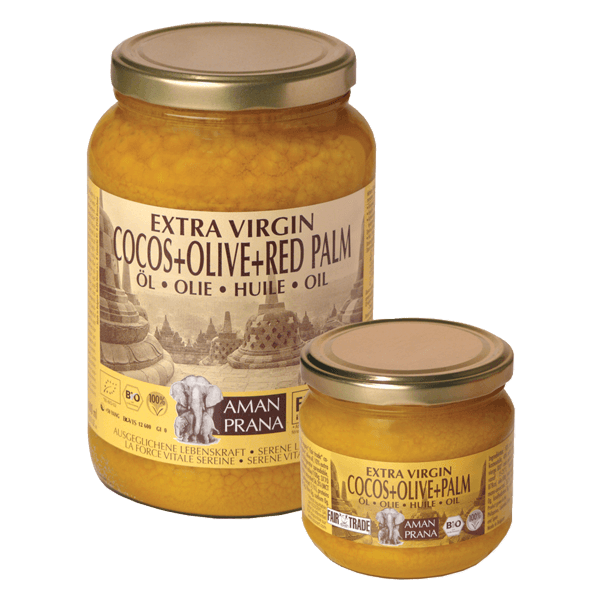 Amanprana’s red palm oil is harvest from organically grown palm fruit. 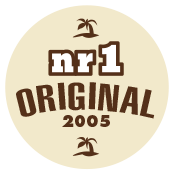 Our Red Palm Oil is pure nature and still contains all its valuable natural nutrients en delicious flavour. The oil is not refined, bleached or deodorised and is not hardened. Straight from nature into the glass jars. Red palm oil is not the same as white palm oil. The latter is primarily a waste product. The white palm oil is refined, stripping it of all its good substances. 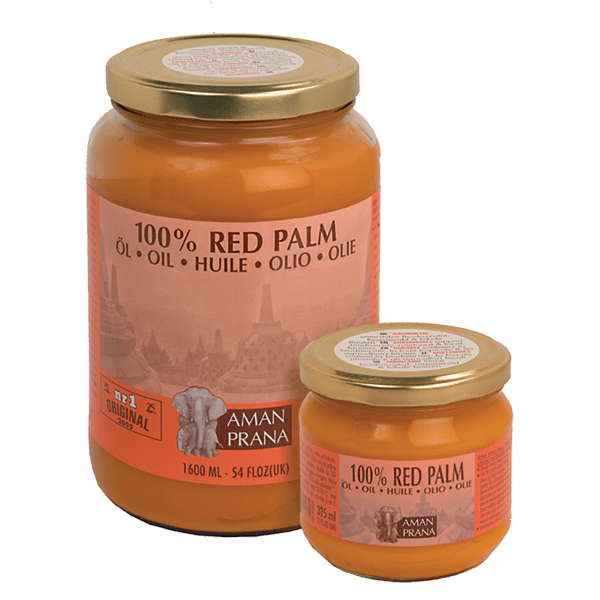 Think about carotene, the sterols and vitamin E. Opt for sustainable and certified organic Red Palm Oil from Amanprana. It is not only delicious, but increases the nutritional value of your meals. You can also use this oil as body care. It prodcts your skin against, amongst others, the damaging effect of uv-rays (not a substitute for sunscreen). Why Choose Amanprana's Red Palm Oil? The Amanprana Red Palm Oil has the quality mark of RSPO (Roundtable for Sustainable Palm Oil). RSPO has everything to do with sustainable palm oil. An increasing number of players in the palm oil industry, including Amanprana, are working together to make the palm oil industry more sustainable. The cultivation of this sustainable palm oil must not be at the expense of natural forest or the habitat of endangered species. In addition, the quality mark has criteria for respecting the rights of employees and local residents. How To Use Amanprana's Extra Virgin Red Palm Oil? 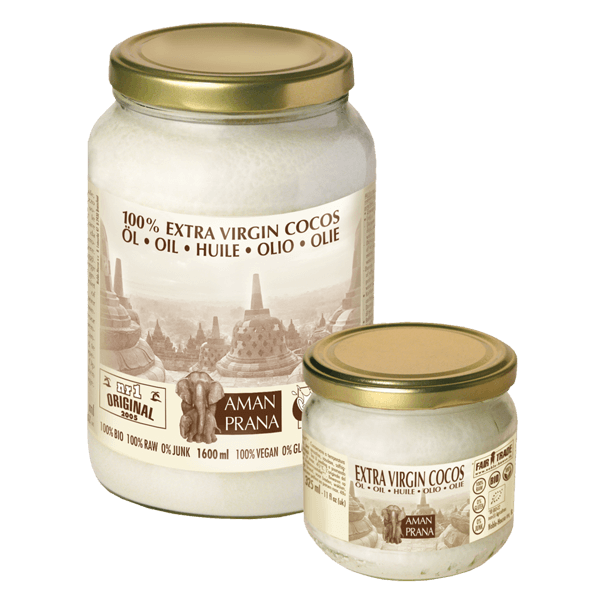 The palm oil from Amanprana is very versatile. The red palm oil is very suitable for baking, adding a soft flavour to your dishes. On bread you taste the red palm. Spread onto your skin for a better tan and to protect your skin. (where to buy) or via our official webshop Amanvida. 100% certified organic red palm oil. Pure and nothing more. Bèta-carotene (provitamin A) is converted into vitamin A in the body. Like vitamin A, it provides good resistance and is very important for vision, but also for healthy bones, teeth, skin and growth. Vitamin E (tocoferol)is a fat-soluble vitamin and plays a role in the production of red blood cells as wells maintenance of the muscles and other tissue. It is also important for the resistance. Vitamin E is an anti-oxidant, protecting the cells in the body against free radicals. This is not only better for the environment, but also better for the flavour and your health. Glass is an inpenetrable material. The chance of external substances ending up in the product is non-existent. Moreover, glass itself does not contain any substances that can migrate to the oil. Glass is 100% natural and does not contain any BPA (Bisfenol-A). Your Amanprana red palm oil retains its optimal quality. For the labels, we print with plant-based inkts on eco-friendly paper. Images of Amanprana's Red Palm Oil? Do you need images of this product? In our download center you’ll find impages of all our products in a variety of resolutions. Amanprana sets their bar high in regards to high quality ingredients. Amanprana always goes for quality! More information about bio certificates. ORDER ONLINE WHERE TO BUY? or via our offical webshop Amanvida. 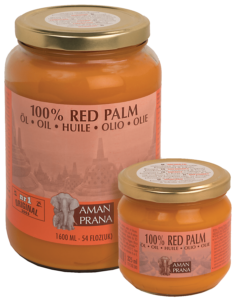 Curious about the flavour of Amanprana's Red Palm Oil? Red palm oil has a very unqique flavour. It's perfect for in African, Asian and Latin dishes. It also adds a beautiful red golden colour to your dishes. Red palm oil is a welcome change and makes every meal a unique experience. Amanprana's Red Palm Oil is different than the white palm oil you can find in many beauty products and foods. The Red Palm Oil from Amanprana is a sustainable palm oil that still contains all of its natural nutrients. We are a member of the RSPO and want to change the market of palm oil so that sustainable palm oil becomes the norm.